With the completion of third round of support to program schools in Doti, we have concluded our Teaching with Technology residents program in Doti. Two teaching residents from OLE Nepal spent a total of 120 days working with teachers and students on the pedagogical and technical aspect of the program. 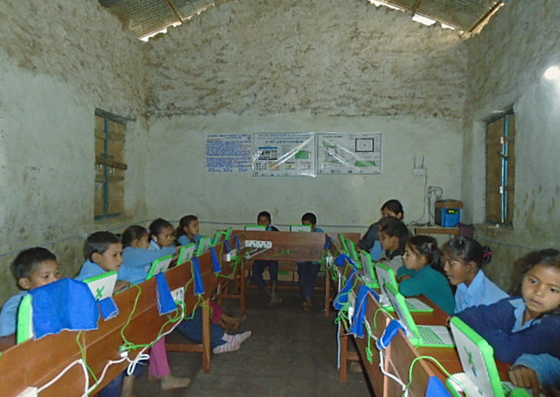 On the pedagogical aspect, they helped teachers in preparing lesson plan, job charts for the integration of E-Paath activities as well as digital resources available in the schools, whereas the technical part included smooth operation of technical devices such as laptops, and digital library servers at the schools. Apart from supporting teachers and students, they also held the meeting with community members in each school. During the meeting our residents further reiterated the roles and responsibilities of community members for the success of the program. Overall, the program received the positive response from teachers and community members in each school. 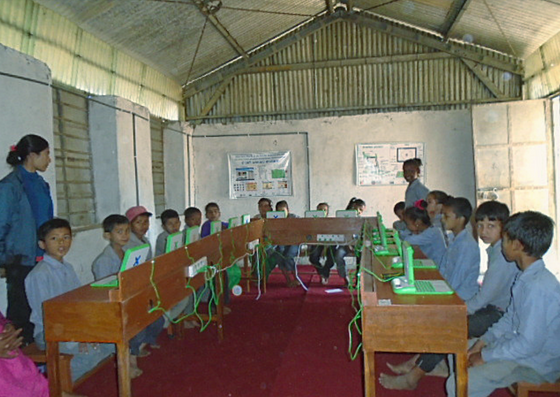 The in-school training for two remaining schools; Kaladhunga Basic School, Daud and Bhawani Basic Schools, Panikhal from Sayal cluster was conducted in the second week of February by our Doti Residents. These two schools were not covered during our previous in-school training in January, as our training team was unable to travel to these schools due to road blocks and local strikes. The Residents observed the classes of teachers and gave feedback on the integration of digital content into the classroom. 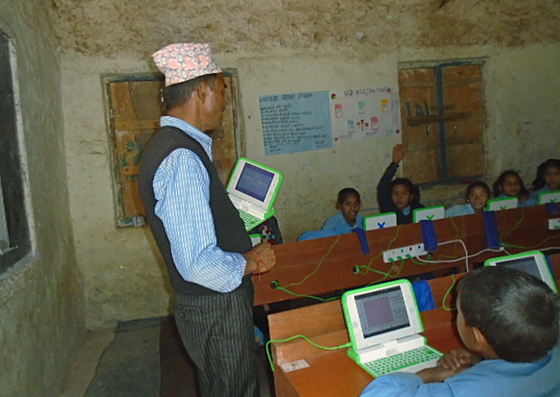 They found that teachers in both schools are successfully integrating E-Paati into their daily classes. Besides observing the class, they also checked the status of E-Paati, E-Pustakalaya server, school network and provided technical support depending upon the need of the schools. During the community meetings, it was also observed that both the schools have collected funds for their E-Paati maintenance fund.